The word strategy has its origins in the Roman Empire and was used to describe the leading of troops in battle. From a military perspective, strategy is a top-level plan designed to achieve one or more high-order goals. A clear strategy is especially important in times of uncertainty as it provides a framework for those involved in executing the strategy to make the decisions needed for success. Resources. The most critical component of a successful strategy is the proper utilization of available resources. As such, a CISO must have a clear picture of their annual budget, including operating and capital expenditures. In addition, the CISO must understand not just the number of vendors and full-time employees under their span of control, but also the capabilities and weaknesses of these resources. The CISO must also have an appreciation for the capabilities of key resources that are essential to effective security but not necessarily under their direct supervision, such as server and desktop administrators, the team responsible for patching, etc. One of the most difficult aspects of the CISO job is that to be successful you must positively influence the actions of other teams whose jobs are critical to the success of the security program, and your career, but who are not under your direct control. Business Drivers. At the end of the day, CISOs have a finite amount of resources to achieve goals and cannot apply the same level of protection to all digital assets. To help make resource allocation decisions, the CISO must clearly understand the business they have been charged with protecting. What is most important to the success of the business? Which lines of business produce the most revenue, and which digital assets are associated with those lines? For governments, which services are essential for residents’ health and for maintaining government operations, and which digital assets are associated with those services and functions? Controls. Before formulating a strategy, the CISO must gain an understanding of the status of the safeguards or countermeasures that have been deployed within an environment to minimize the security risks posed to digital assets. These will include controls to minimize risks to the confidentiality, integrity, or availability of the assets. In determining the sufficiency of a control, assess its design and operating effectiveness. Does the control cover all assets or a subset? Is the control effective at reducing the risk to an acceptable level or is the residual risk still high? For example, one control found to be effective in minimizing risk to the confidentiality of data is to require a second factor of authentication prior to granting access to sensitive records. If such a control is implemented, what percentage of users require a second authentication factor before accessing the company’s most sensitive data? What is the likelihood that a user will acknowledge a second factor in error as the result of a phishing test? Threats. Identifying the threats to an organization is one of the more difficult tasks in developing a cyber strategy, as cyber threats tend to be asymmetric and constantly evolving. Still, it is important to identify the most likely threat actors and the motivations, tactics, techniques, and procedures used to achieve their goals. Once a CISO has a clear picture of the items discussed above, they can begin formulating a strategy appropriate to the task at hand. There is no “one size fits all” approach, as each organization is unique, but there are models and frameworks that have proven helpful over time, including those developed by the National Institute of Standards and Technology, Cyber Kill Chain, Center for Internet Security, SANS, and the Australian Signals Directorate, among others. An effective strategy must also consider human and organizational dynamics. For example, employees will typically “work around” a control that increases the actual, or perceived, amount of effort to perform a given task, especially when they feel that the effort is not commensurate with the threat being addressed. 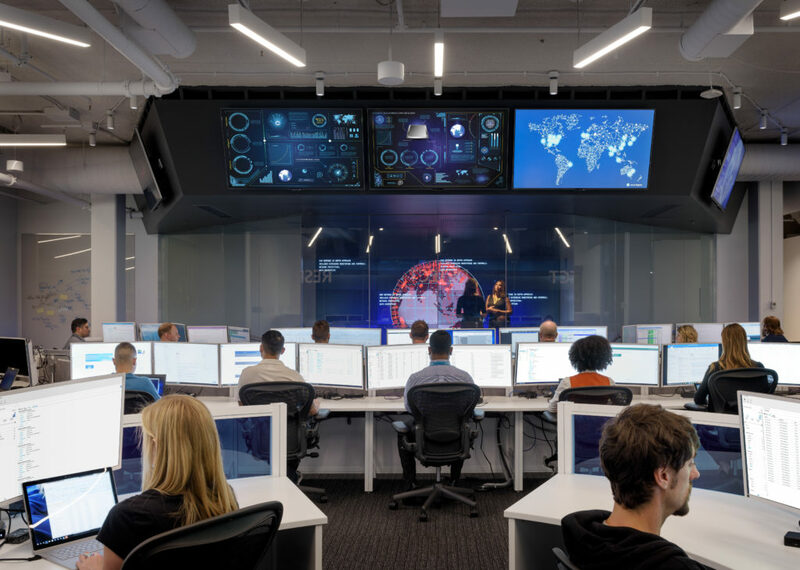 At Microsoft, we are continuously evaluating the current threats faced by our customers and building products and services to help CISOs execute their strategies. The design of our products not only accounts for the techniques utilized by cyber attackers, but also incorporates features that address the human dynamics within an enterprise and the staff and retention challenges faced by security teams. 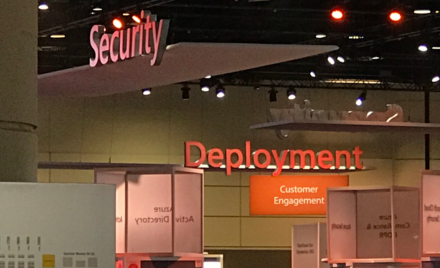 A few examples of these design principles in practice include building security features and functions within our productivity tools such as Office 365 Advanced Threat Protection, using auto-classification to reduce the workload on end users with Azure Information Protection, and increasing the efficiency and effectiveness of security teams with Windows Defender Advanced Threat Protection.